You can purchase the 48-page unit PLUS a 53-slide Jeopardy-type game for the Newbery winner, Moon Over Manifest, for immediate download for only $12.95! Click Here to purchase and download this Kids Wings Literature Guide through Teachers Pay Teachers. 12-year-old Abilene Tucker wonders why her father put her on a train by herself to travel to the place where he grew up, but where she has never been, a Missouri town called Manifest. Her many questions about his past swirl in her head, but she still finds comfort in the memory of the stories he told. Over the summer of 1936, Abilene will piece together the puzzle of the life of her daddy, Gideon Tucker. When her train nears the town, she jumps off to get a secret view of the person who is expecting her, Reverend Shady Howard. The town, in the vice of the Great Depression, seems to be sitting upon secrets, her father's secrets, but friendly enought. There is the sadness of drought and poverty that mutes its voices, but it is, nevertheless, more friendly to strangers in 1936 than it was in 1918 when it was filled with coal-mining immigrants. Information about Manifest and those who lived there comes to Abilene through narrative layers: newspaper articles from 1917 and 1918, stories told by a fortune-teller, and 18-year old letters from a soldier fighting in World War I. Making friends, Abilene discovers a local mystery and begins a summerlong spy hunt that uncovers secrets that are the key to restoring the residents' faith in a bright future and revealing the truth about the sadness binding her own father. This beautifully told story weaves together happiness and sadness of the Great Depression along with the influence of the events of World War I. Well-developed characters, time, and place described through rich language, carry the reader back in time to bootlegging, predjudice, murder, war, friendship, and compassion weave a story that gently transforms the reader into a participant. Intricate details masterfully weave multiple stories together to define literary treasure! The Kids' Wings literature guide invites group discussion, problem solving, research, writing, skill building, and authentic writing prompts and a culminating interactive Jeopardy-type game. Teachers who want students to enjoy the best of historical fiction that pulls the reader into history through a compelling story will make this book part of their classroom libraries. The 48-page Kids Wings literature guide and Jeopardy-like interactive game for Moon Over Manifest provides multiple layers of activities, group projects, skill building, and fun. An awesome 48-page unit PLUS interactive Jeopardy-type game, perfect for lesson plans, handouts, or projection on your SmartBoard for Moon Over Manifest is now available! 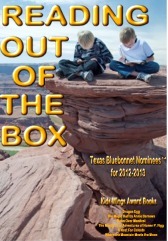 Moon Over Manifest is included in the Kids Wings Reading Out of the Box collection of literature guides for award-winning novels and intermediate-level picture books. This collection comes in a spiral-bound book with CD and site license for one school. It contains 848 pages of activities in 25 titles PLUS a "Jeopardy-type" game for each novel! You can purchase a literature guide individually for around $12.95, but if you order Reading Out of the Box, you can get 25 literature guides for only $35, or less than $1.40 each! This is probably the best bargain in the USA, while quantities last! Buy Moon Over Manifest by Clare Vanderpool NOW!